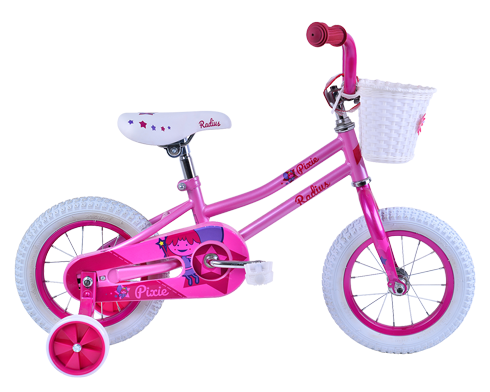 Featuring adjustable parts to allow the bike to adapt to growing kids. 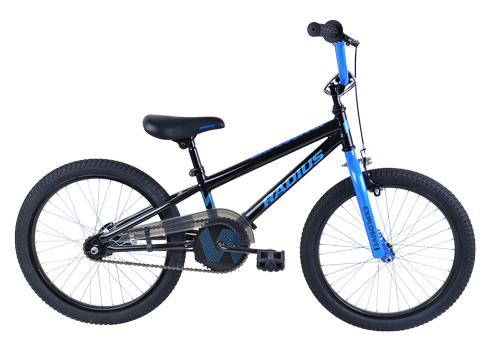 Hassle free Shimano shifting to give your kids greater control and freedom while riding. 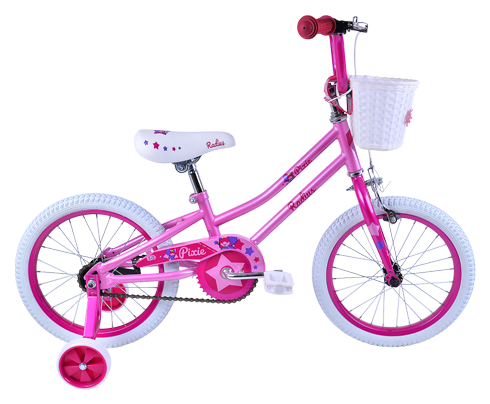 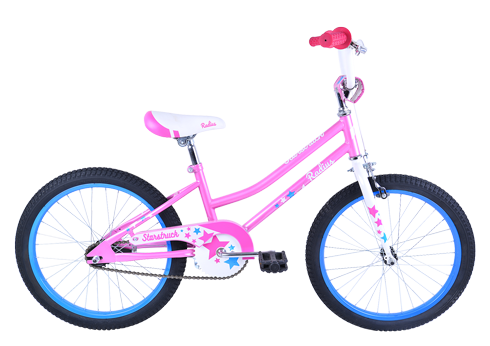 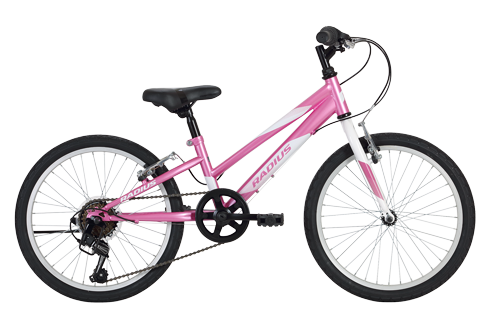 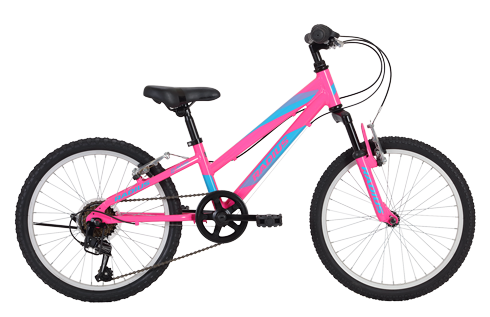 Ideally suited for kids 7-10 years old, our 20” geared bikes are perfect for young adventure seekers. 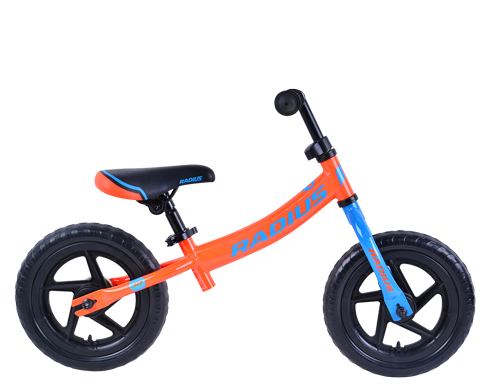 Aimed at kids 7-10 years old. 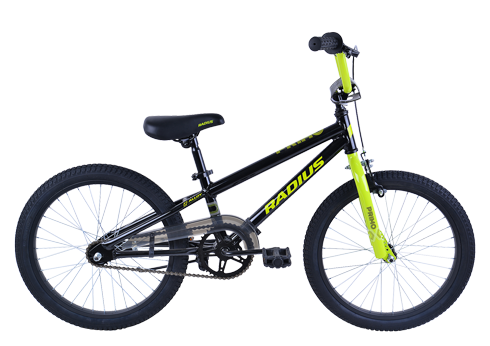 These bikes offer snappy handling and balanced stopping power from the rear coaster foot brake and caliper front brake. 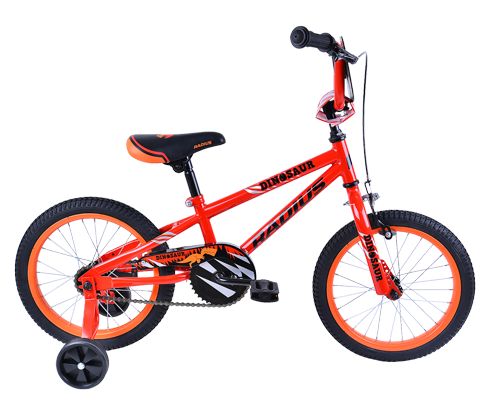 A comfortable BMX style saddle and grips round out these bikes. Built for kids around 5-7 years old. 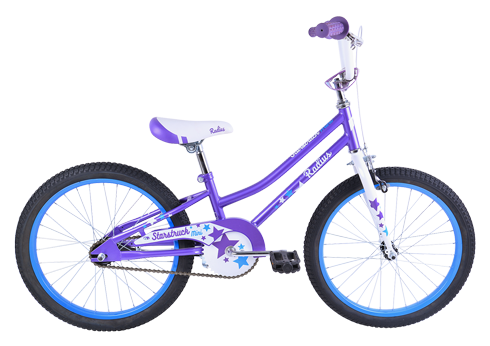 Our 16” juvenile bikes help build confidence in beginner riders, thanks to the low stand over height, removable training wheels and comfortable saddle and grips. 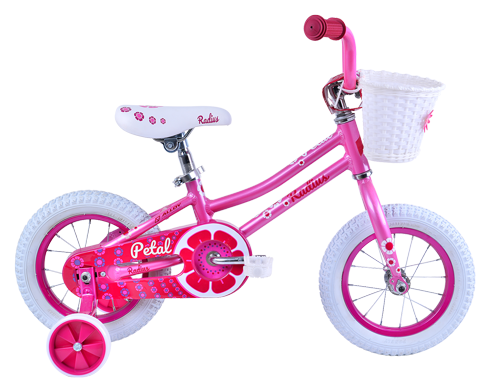 Nothing beats the look of joy on their face after that first pedal stroke, and the bike begins to roll. 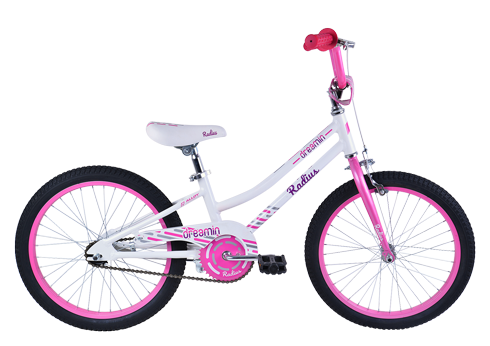 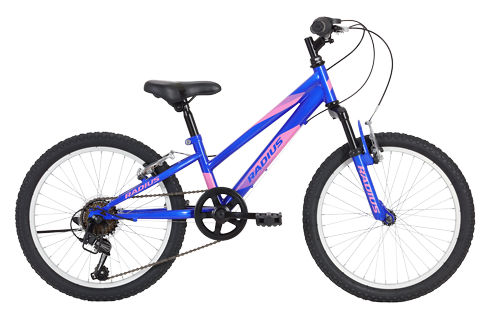 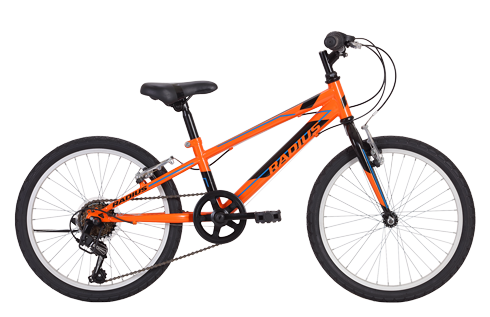 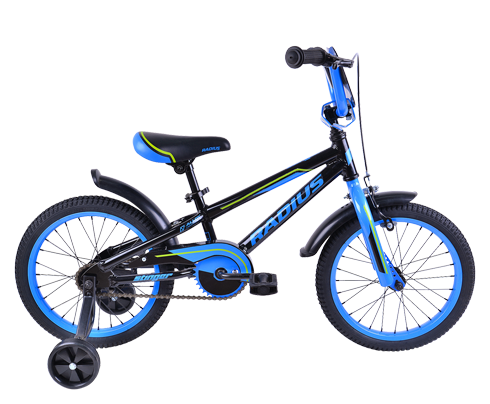 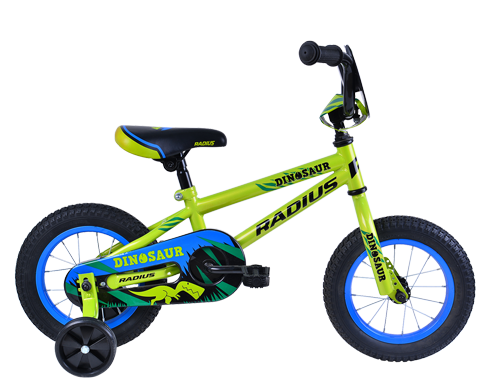 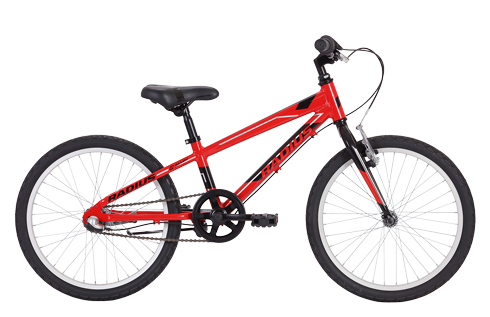 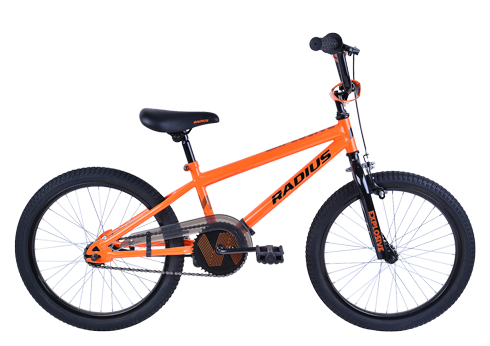 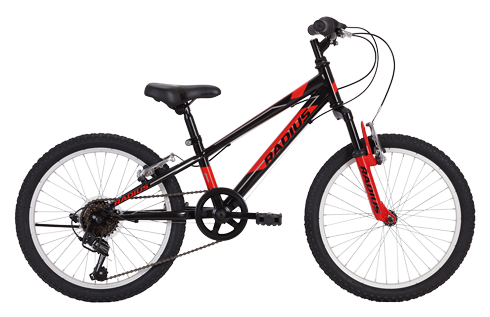 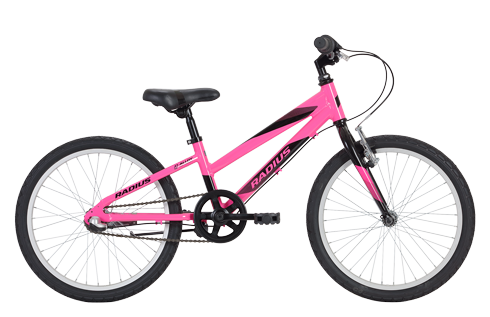 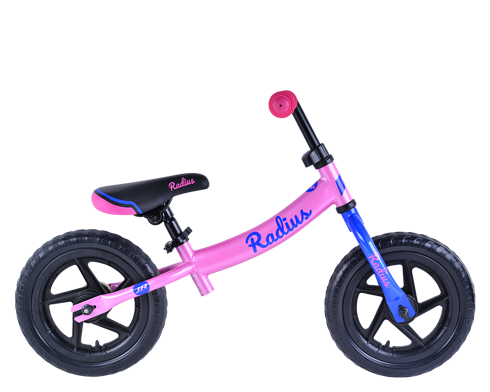 Radius 12” juvenile bikes give kids aged 2-5 their first taste of adventure. 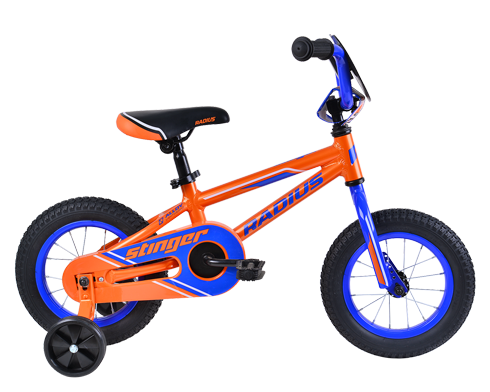 Training wheels provide stability, while the grips and soft saddle give comfort. 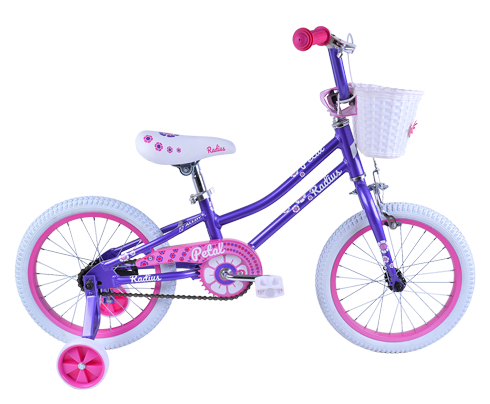 Paired with bright colours and graphics, it’s the unforgettable first bike.